In a representative democracy, it is a right and a privilege to vote and to communicate with your elected representatives. 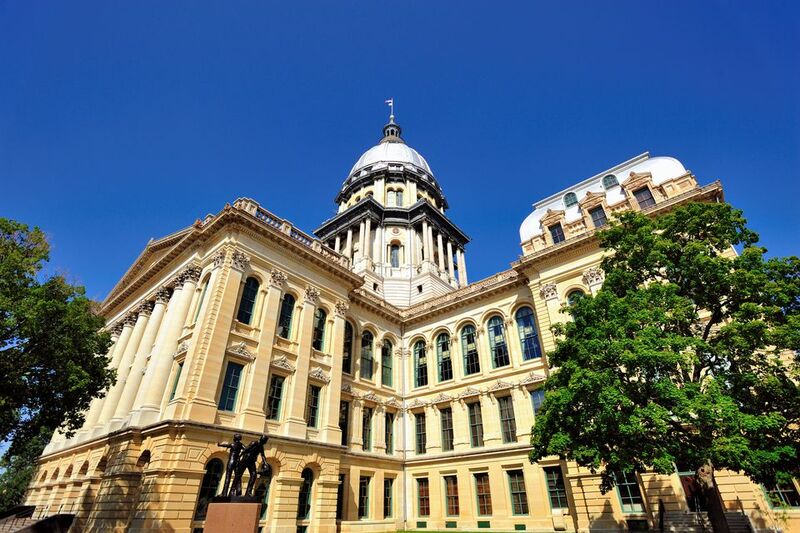 State representatives and senators have a significant effect on every resident of Illinois, and those elected to the U.S. House of Representatives and the U.S. Senate also welcome communication from constituents. Here's how to find out who they are and how to contact them, along with information about elected officials for the state of Illinois and the Chicago Board of Aldermen. All Illinois residents can identify their state representatives by typing their address into a database of the website of the Illinois State Board of Elections. Your district number can be found in parentheses after your state representative's name. The database also gives contact information for other state elected officials and your congressman or congresswoman. You can find out who your state senator is by going to the Board of Elections website and looking at the map of state Senate districts and then searching for your district by entering your ZIP code on a map of the state. Then search for your senator by the district in the links provided. State senators and representatives meet in the General Assembly of the State of Illinois in Springfield. To find out information on what's going on in state government or to reach the governor, attorney general, secretary of state, comptroller, or treasurer or any agency, board, or commission, go to the state of Illinois website. You'll also find links for forms, tax information, and certificates, along with news about current legislation. To find your congressman or congresswoman and your U.S. House district, go to the House website. Put in your ZIP code and you'll find out your representative and your district, along with the address and phone number for the House of Representatives. Clicking on the representative's name takes you to their website, where you will find contact information and links to email. To find your two U.S. senators, go to the website for the United States Senate, click on "senators" and then on "states." Click on "Illinois," and that will bring up a page with a brief thumbnail about the state and the two current senators. Clicking on their names takes you to their respective websites. You can visit the Capitol building in Washington, D.C. and watch the House and Senate in session. Passes are required to enter either gallery. Visitors may obtain gallery passes from the offices of their Senators or Representative. To find out who is your Chicago alderman and which ward you live in, go to the city of Chicago's website for a complete list of Chicago aldermen and wards. The site also includes a ward map. Chicago is made up of 50 wards, or legislative districts. Each ward elects one alderman The 50 aldermen serve on the City of Chicago's Council, who with the mayor of Chicago are charged with governing the city. An alderman's term is four years. Chicago has been divided into wards since 1837 and started with only six wards. In 1923, the new system was adopted and the city was divided into the 50 wards that exist today.